In collaboration with Åbäke & Markus Miessen with Westmead Care Home - Barby Asante with Inspire, Southwark - Marcus Coates with St. John's Hospice Beatrice Gibson with Camden Homes For Older People - Tom Hunter with Age Concern, Hackney. There are currently 9.7 million people aged 65 and over in the UK and, by 2020, there will be 12.5 million, or one in five people, aged 65 and over (Government Actuary's Department, 2005). Of those aged 60 and over, 2.3 million older people live in homes that do not meet minimum housing standards and many face intense forms of segregation and isolation. 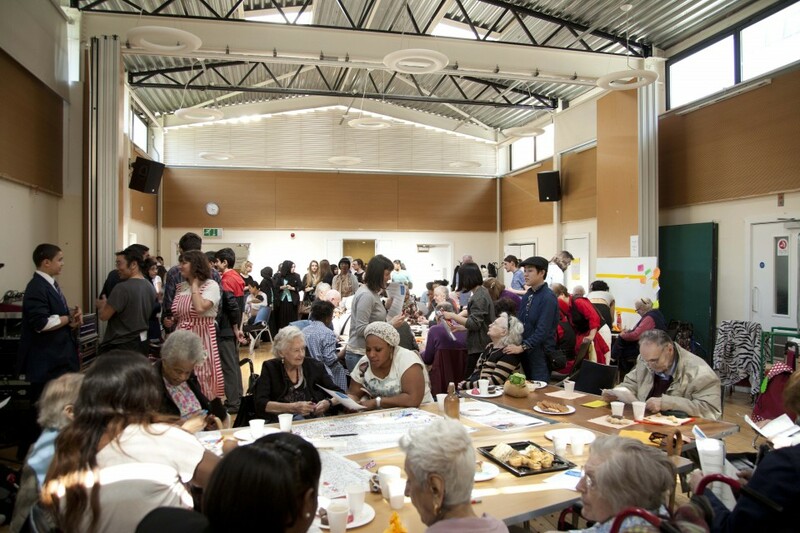 While it is common to suggest that art may be 'good' for those facing isolation and poverty, Skills Exchange recognizes that among an aging population there are also many key skills and experiences from which other social sectors can learn. This is extremely important at a moment when younger generations are uncertain about their future. Skills Exchange attempts to produce opportunities for exchange between artists, elderly people and younger people in the name of broader social change. It suggests that the isolation of older people, who are increasingly segregated by processes of privatization and development, is unhealthy for all social groups. Such processes often focus on artists and younger people as part of a futuristic 'creative' urban class, while older members of the community are not considered. Skills Exchange brings together artists, elderly people and young people to ask what are the possibilities? What forms of participation, articulation and resistance can be derived from such collaborations?